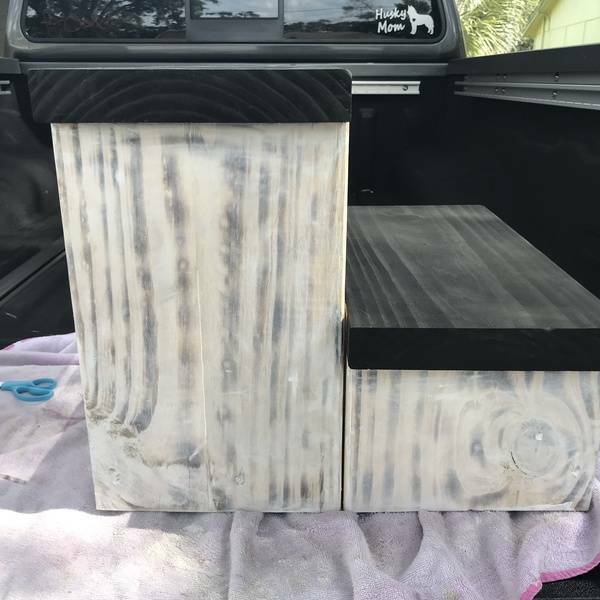 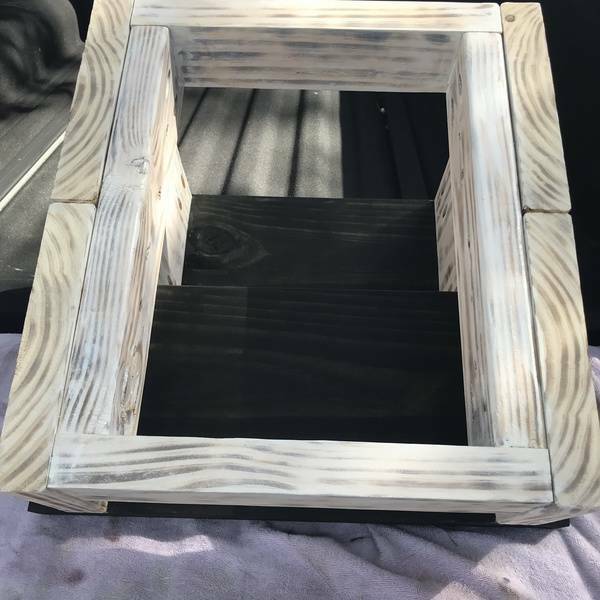 Customized two-step stool. 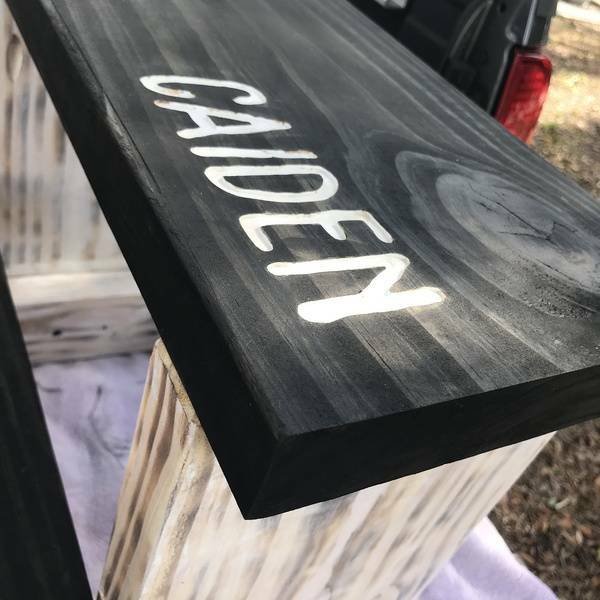 Personalized with a name, engraved using the Ryobi plunge router. 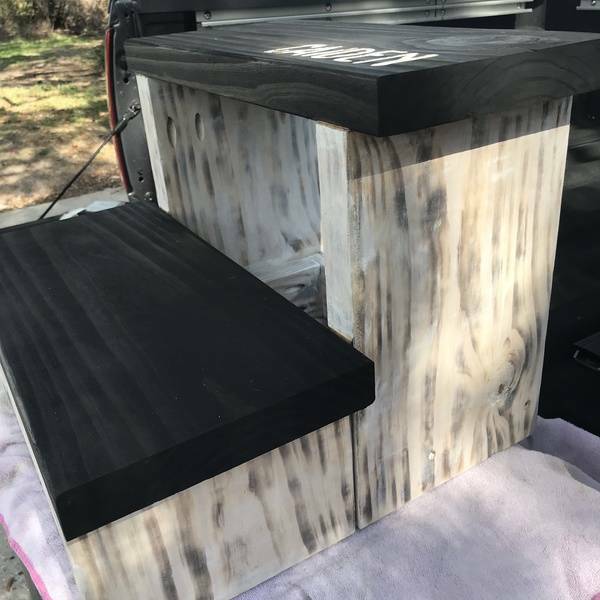 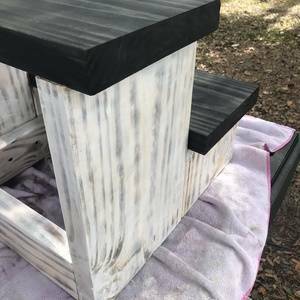 Sides were burned and then stained with Varathane white wood stain and steps were stained using Varathane ebony wood stain.